I directed Educating Rita, the first production in Ottawa Little Theatre’s 105th season. It opens September 20. In the coming weeks, I expect to do a few more vlogs about my experience directing the show. Please check back here or subscribe to my YouTube channel, if you want to watch them too. If you are reading this post because you read my bio in the Educating Rita program, please let me know in the comments section below. I hope you enjoyed the show! In principle, cinema could be the most Zen of all the art forms. The unblinking gaze of the camera is always grounded unwaveringly in the now. In practice, of course, cinema is the least Zen of all the art forms. The conventions of cinema are designed to drive us out of every moment created by it. Rarely is a moment allowed to be about the moment and only the moment. Instead, each moment is only a means to some other end. It is crafted to reveal character, to drive the story forward, or to entertain us. The instrumental aesthetic of cinema, which frames all moments as means to some other end, may have come about because cinema is both an entertainment and an art. Entertainment distracts us, carries us away, and allows us to escape our reality. Similarly, art also carries us away, but it focuses rather than distracts our attention. It allows us to edify reality rather than escape it. The difference between art and entertainment is one of degree, but, with sufficient degrees of separation, it eventually becomes a difference in kind. In the Venn diagram of art and entertainment, there is much that overlaps. But, between those instances of art and entertainment where there is no overlap, the gulf between them can be huge. Bridges are sometimes built to span that gulf, but, more often than not, the industry demands that cinema remain far from the edge of art and firmly in the realm of entertainment. Knight of Cups, I think, is more art than entertainment. It is, nevertheless, engaging, in the same way that a well-curated art exhibition can be. It is also about as pure an art film as you are likely ever to see with A-list stars. Terrence Malick and his team jettison story and character development and instead rely on aesthetic elements primarily found only in cinema. Without a clear story, dramatic tension, or character development, our attention is held with abrupt cuts, snippets of conversation, soundscapes, and beautifully framed shots. The aim of this picture, I think, is to show us all the different beautiful moments of now, which we so often miss, neglect, or forget because we are too often driving ourselves out of them like the protagonists in a typical A-list movie. It’s as if Malick and his team wants to show us what these characters might have seen and experienced, if only they knew how to live in the moment. The picture is also an attempt, I think, to imagine, experience, and present what a life might look like if it were always experienced in the forever moment of now. The only sour notes of the picture — and, for me, they are very sour because they are so at odds with its overall aesthetic — are its efforts to insert conventional storytelling into the mix. The narrative fragments of manic pixie dream girls, bitter soon-to-be ex-wives, and father-son dramas, which are alluded to here and there, are ill-fitting and out of place. Not only because they are so unimaginatively cliche but also because they excite the part of our brain that uses story to pull us out of the experience of now. Knight of Cups is at its best, I think, when it focuses instead on crafting a vision of what a life might be like unencumbered by the human all-too-human parts of our brain that insists on turning everything into a story. Not since I first read Camus’ La Peste have I encountered a work of art, which seems so in line with my own thinking. I write “seems” because, of course, I may only be seeing what I want to see in the picture. If that’s true, so be it. Within the beautiful and ambitious aesthetic of Knight of Cups, there is a straightforward and important message worth repeating: what really matters in our lives — even for a Hollywood screenwriter who has it all — are the people who touch us and the beautiful moments of now that we share with them. When I think of The Daily Show, I am often reminded of an old gag, which I must have seen in a cartoon or sitcom. When a volunteer is asked to step forward for a ridiculously dangerous and hopeless mission, everyone but a hapless rube takes one big step back. The rube, who now appears to have taken one step forward, has been forced by circumstance to volunteer valiantly. The Daily Show is that hapless rube, and the big players in the modern American media landscape are the jerks who took one step back — waaay back. Jon Stewart likes to insist that he is only a comedian, and The Daily Show is only a fake news comedy, goddamn it. Unfortunately, for him, the other players in the field are so far very behind, to any discerning viewer, The Daily Show is not only very funny, but very often it is a much more credible news source. Except when it isn’t, to some critics on the left. In their new book, Jamie Kilstein and Allison Kilkenny take Jon Stewart and The Daily Show team to task for their coverage of the Occupy movement, and the rather underwhelming Rally to Restore Sanity and/or Fear. They suggest that Stewart’s politics are not only dead wrong, and a violation of the trust he has earned over the years; they even go so far as to imply he is part of a corporatist agenda to ridicule public protest and activism. I think their observations miss the mark. The Daily Show’s take on the Occupy movement, like the Rally itself, was underwhelming — not because they failed to live up to some measure of political purity — but because neither were particularly funny. Good comedy is hard. It takes passion, commitment, and, when it’s about current affairs, a lot of research. You need to care a whole lot to be very funny. My sense is that the team wasn’t terribly outraged by the Occupy Movement and, for whatever reason, they settled on a desperately unfunny premise for the Rally. They didn’t fail because of their politics. They failed to honour their one and only duty to be funny. The Daily Show team, in my opinion, are at their best — their funniest — when they are palpably outraged, and have done the hard work to find the best and most cutting gag, jibe, or spit take. Sometimes, the ubiquity of a news story requires them to “cover it,” even if they aren’t that much outraged by it, and they phone it in, with Stewart mugging for the camera. When they care, however, they can knock it out of the park. 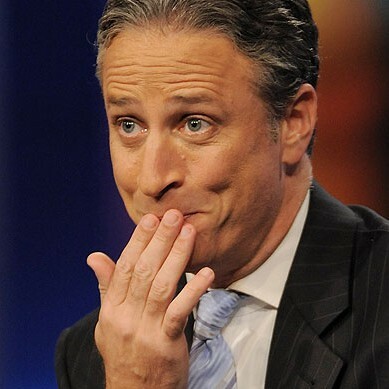 So, contrary to both Stewart and his critics on the left, The Daily Show, I think, will always be much more than a fake news comedy — so long as the team cares enough to be outraged to the point of hilarity. Even if the media landscape in America were to suddenly transform and correct itself tomorrow, The Daily Show, at its best, would remain an essential and critical voice in America. Whether Stewart wants to admit or not, for as long as there have been jesters poking fun at kings, the best comedy has always been a form of activism. Yes, The Daily Show’s one and only duty is to be funny, but , for that very reason, so long as they do their best work, The Daily Show team will be activists on the behalf of all of us who are frustrated by the hypocrisy and incoherence of power, and who also understand that pointing and laughing is often the best way to undercut that power.